History was made this week within the Netflix community. Many teens and adults spend hours and hours on Netflix everyday. Currently, Netflix has three different streaming plans, and all of their prices are planned to have the biggest price increase in the history of it streaming service. This shocking news was announced Tuesday, Jan 17, 2019. Many people are not excited about spending more money for their streaming plans. Netflix has three streaming plans that users can choose from. They have the Basic Plan that doesn’t include HD and only allows people to stream from one device at a time, for $7.99 per month. The Standard Plan, which allows users to stream from two devices at once and includes HD, is said to increase from $10.99 per month to $12.99 per month. The premium plan includes Ultra HD and allows users to watch on up to four screens. This is said to jump from $13.99 per month to $15.99 per month. This is their fourth price increase in the United States. 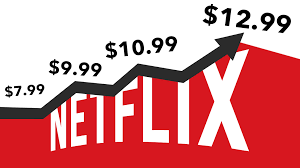 Overall, Netflix raised their prices by 13% to 18%. Along with this increase, the Netflix stock jumped over 6% in early trading to $353.18, according to Eli Blumenthal from USA Today. This increase makes a giant difference and many people disagree with it. It is understandable that they have to increase their prices to pay for all of their shows. They don’t have ads throughout their shows, which improves their performance. Ads are used everywhere and it is nice for Netflix to not include them. Now, the price increase isn’t that big of a deal to most people. The premium plan was raised by two dollars per month, which is an extra $24 a year. It isn’t that much more. 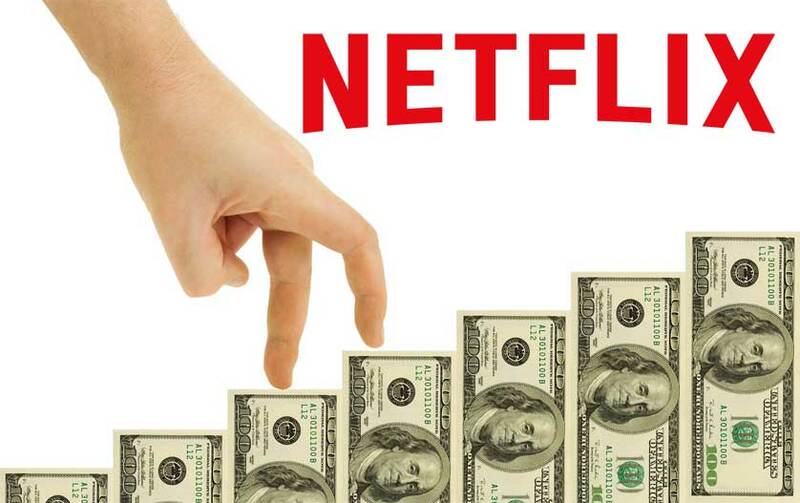 The Economist reported last year that Netflix was spending between $12 billion and $13 billion on original programming in 2018. They had many hits such as Bird Box and 13 Reasons Why. But there are also many shows that people did not like, and some people wish that they spent the money to add more old shows to the Netflix library. Shows like 13 Reasons Why and Birdbox have many good actors that make the quality of the film more entertaining. But most of the Netflix Original shows and movies that they create aren’t very good. They lack the entertainment that viewers crave. Most of the shows that get the spotlight and attention from people have good actors and a new and original storyline. Most of their Christmas movies that came out in 2018 did not have very interesting storylines. Netflix should not be spending this much money on producing so many original shows. Users would like to see some shows that have been highly requested by many viewers. Such as, Modern Family, Fresh Prince of Bel-AIr, and Family Guy. If Netflix is going to raise their price, they should` add some of these highly requested shows. Netflix also has many competitors that also offer incredible streaming services. One of those competitors is Hulu. It also offers many TV shows and movies. 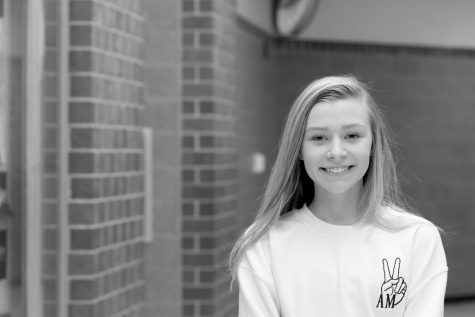 They have more shows that attract teens and young adults. Shows like Family Guy, Full House and Seinfeld are on Hulu. People highly request all three shows to be put on Netflix. Hulu has four plans and allows you to add certain channels for extra money. Hulu is $7.99 per month, Hulu (no ads) is $11.99 per month, Hulu + Live TV is $39.99, and Hulu (no ads) + Live TV is $43.99. Hulu offers more and their plan with no ads is only $11.99. In my opinion, if I could I would try Hulu. They offer many more shows that people actually want to see. There is even a plan where you can have unlimited screens for an extra $14.99. Netflix’s highest plan only allows up to four screens. Users do have to pay extra for the unlimited screens but it’s better to at least offer that benefit. Unlimited screens benefits larger families. With unlimited screens, larger families can have a better experience. After considering all of these factors, it is fine for Netflix to raise their prices. They may not have as many shows as people would like, but they don’t include ads. They have to collect money some way. Also, in order for them to improve their movie and TV selection they have to spend a ton of money to get the show. If raising the price per month will help the variety of entertainment, than people should be fine with paying an extra two dollars a month.